The size of my to-be-read piles of books, currently in stacks around the fireplace so I can’t ignore them, is exceeded only by the number of to-be-listened-to podcasts on my iPod. In an effort to get at least one of these things down to a more manageable size, I’ve replaced my standard gym playlist (featuring Green Day, Grand Funk, Meghan Trainor, and more. Don’t judge. ), with the Storywonk Sunday podcasts by Lani Diane Rich and Alastair Stephens. The podcasts are informal discussions about all things story, popular culture, television and more, with a delightful Scottish accent thrown in for good measure. They’ve been a great distraction and have provided some interesting perspectives on the whole writing business. One comment mentioned in the podcast I listened to last week got me thinking about motivation. In the episode, Lani mentioned that, with the exception of her first novel, which she wrote during NaNo, she has never finished a book that she wasn’t being paid to write. That got me thinking about how we motivate ourselves to do things. While the love of writing might motivate you in the long term, what’s the motivation that keeps you applying pen to paper (fingers to the keyboard) day in and day out, especially those days when the process feels like chiselling the words out of stone, one letter at a time? Maybe you’ve always dreamed of seeing your name in print, maybe you’ve got “write a book” as an item on your bucket list, or maybe you just enjoy learning how to do new things. Whatever the reason, having an internal goal that you’re aiming for can help keep you motivated on days when you’d really rather just do nothing at all. Sometimes an internal goal just isn’t enough. That’s when the motivation from other writer friends or groups can provide an extra nudge. You and a writing buddy can hold each other accountable for reaching specific goals. A writing group can make things more fun with writing challenges, and other writers can provide support and encouragement on those days when you really need it. Deadlines can be a good way to make sure you are making consistent progress. Establishing deadlines that are realistic and achievable is key to ensuring they serve as motivation, not a hindrance. The first act of my current manuscript, for example, was finished in just this way. The completed act had to be turned in at the end of the eight-week McDaniel workshop that I was attending at the time. The deadline provided the extra motivation I needed to get the work done. Without it, I no doubt would have found any number of reasons to delay. Having an established writing routine can help kick-start your motivation. If you always write at a certain time or in a certain place or wearing your special writing shirt (whatever works for you), then you are more likely to keep doing it. That leads to writing success, which is motivating, which leads to more success which . . . . you get the idea. Routine was the technique I used to establish a successful exercise regimen. By going to the gym at the same time each day, I eliminated the need to motivate myself each time and just went. At that point, all I had to motivate myself to do was to have a good workout which, since I was already at the gym by that point, was a no brainer. Establishing a routine doesn’t mean that you need to do exactly the same thing every time you sit down to write though. Just like I don’t spend every day on the elliptical machine – some days it’s yoga, other days it’s weight-training – you want to flex your writing muscles and add a little fun so that you stay motivated and remain you engaged in the process. Sitting down and getting words on the page is hard work and it’s important to take a minute and appreciate progress when we make it. I’m a big fan of the “writing = reward” philosophy. As a matter of fact, I get a cupcake for finishing this blog post. 🙂 Recognizing the progress you’ve made or the good writing behaviours you’ve established helps you step back and see how you are moving towards your goals. When you see that you are making progress, it can motivate you to keep going. One important thing to remember when looking at your progress is not to compare it with anyone else’s. As we’ve mentioned on this blog before, everyone has their own writing style and their own path and I doubt any two writers get to a completed manuscript in quite the same way. One strategy that I found in a post here, has proven very effective in keeping me motivated and productive in recent weeks. The post talked breaking tasks into two types – hard tasks and easy tasks – and then using that information to take advantage of those times when you are feeling extra-motivated to prepare for those other days when you really need motivation. The idea is to focus on the hard tasks on high-motivation days and save the easier tasks for other days. Using blog posts as an example, if thinking up ideas for a blog post is a hard task, but doing the actual writing is easier, then on days when your motivation is high, instead of sitting down and writing a single complete blog post, it could be more effective to plan and rough-out four draft blog posts. Then, next time you sit down to write and your motivation is flagging, the draft posts give you a head start. For my writing, that means that when I’m having a really good writing day (it happens occasionally), instead of just focusing on finishing a single scene, I try and map out a series of scenes. I’ll rough out some lines of dialogue here and there, make a list of what needs to happen and in what order, note down what the end result of each scene should be, and indicate whether anything in the scene links to or relies on something from another scene. That way, the next time I sit down to write, even if I’m not particularly motivated, I have a skeleton structure to start with. Filling out the details of a scene that has been roughed-out is much easier for me than the initial task of figuring out what the scene is supposed to be about. So far, this has been working very well, which is good because my current internal motivation for finishing this iteration of my draft manuscript is getting the “PRO” sticker on my badge for the upcoming RWA National conference. The other ladies there will have theirs and I don’t want to be the one without. In order to get that badge, however, I need to submit my completed manuscript to RWA by June 30. That gives me just two weeks to get things wrapped up and emailed off. You’ll know if I was successful when you see my badge this July. 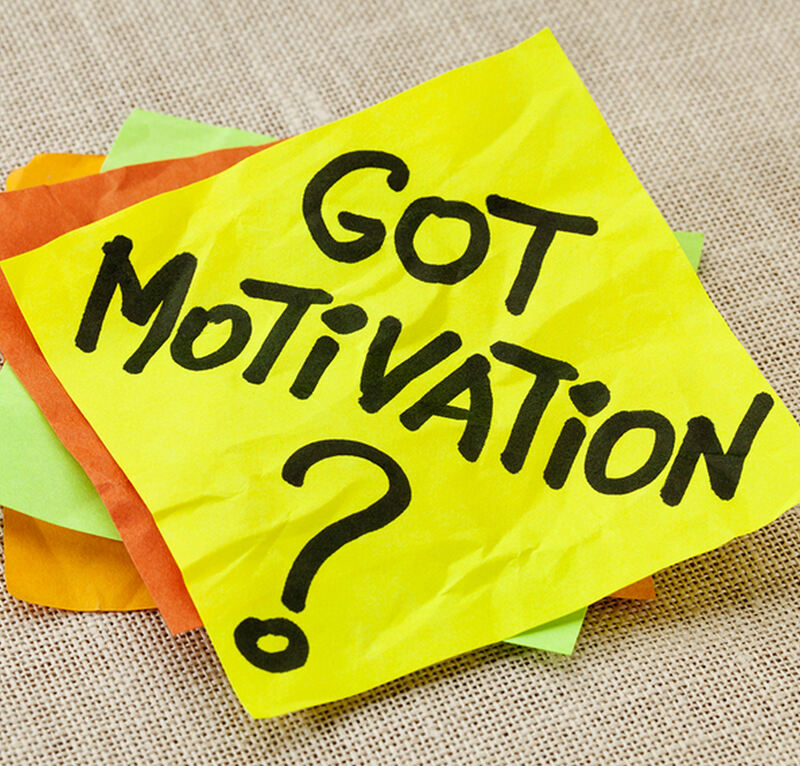 So, what’s motivating you (whatever your endeavours)? This entry was posted in Goals, Motivation and tagged bad writing days, Elizabeth Eldridge, fiction writing, motivation, writing goals, writing motivation. Bookmark the permalink. I just applied and was approved for PRO status last week. Now I’m watching the mail every day for my pin to arrive. Can’t wait to see yours proudly displayed on your badge in July! This blog motivates me. It keeps writing in my face every day. Having deadlines for finishing my project to get my masters was very motivating. I write and manage grants in my day job, which is a deadline driven field. Deadlines really work for me – unfortunately, self-imposed ones don’t work as well as the external ones. I am currently looking for motivation to get the remaining words on the page to finish my current WIP. I did have a dream last night that helped. Michille, my day job is also very deadline driven, and those deadlines work for me as well. It’s a little harder on the writing side when the deadlines I set don’t have any real consequences if I miss them. I’ve found external things like the upcoming conference or the submission date for a contest to be pretty good motivators. Glad you had a helpful dream. Hope that means your story will be done soon so we can all read it. I can’t wait to see how it all turns out. Perhaps you should make yourself accountable to us? Or another writer? I know that works for me. When I’m supposed to turn in a chapter to my critique partner, I’m a heck of a lot more motivated to do it than if I were to just set an arbitrary deadline for myself. Speaking of which, I think I’ll go work on my book! Justine, you’re right, being accountable to someone else is a lot more motivating than just setting our own arbitrary deadlines. I was just thinking about how much this group helps me keep on track (-:. I tend to wander off and do something else, but since we have this blog, I feel an obligation (a very pleasant one!) to visit the blog and think about writing every day. Motivation is such a slippery thing. The more I think about it, the motivation I get is that fun feeling of having solved a problem, or written a juicy sentence, or even more, having connected two things that seem unrelated, but suddenly go together. Maybe I should write for that. Also, I read the “reward” as “record.” I have a lousy memory, and when things are great, I am in the greatness. But when things are not great, they’ve never been great and I am awful. If I could keep a written record of how many words, fun phrases, great ideas — kind of like a baby book for my book — maybe that would provide some inspiration on the bad days . . . I’ll have to think about that. Michaeline – I love that idea of a baby book for your book. 🙂 That sounds like a good way to counteract the “they’ve never been great and I am awful” mindset. I think I’ll try noting down the phrase / sentence I’m happiest with from each writing session. Could be a fun way to see that I’m making progress. Sometimes I think we are living the same writing life. Maybe it’s the shared birthday :-). As I read Elizabeth’s post, I was thinking that external rewards don’t work well for me. The best motivation for me is story love, wanting to do right by the idea, and the goal of constantly improving my craft. And viewing writing as a puzzle I love solving – absolutely! (-: I’m terrible about external rewards. If I am in charge, I say (swearword) and eat the cupcake first. If someone else is in charge, I can get really balky and “you can’t make me do this.” Oh, and external punishments are even worse. “If you don’t write, you can’t go to the movies . . . .” I get really dog-in-a-corner about that, growly and defiant. I had a wake-up call yesterday, though. My cell phone company said I’ve already used more than 80 percent of my monthly gigabytes. (Amy Schumer!!!! Cat videos!!!! Stephen Fry!!!!! Jimmy Fallon!!!!!) Yesterday, by the way, was only three days past the middle of a short month. Those little indulgences add up . . . .
Having to regularly (and frequently) report my progress is vital, for me. Apparently I’m more willing to know that I’m failing to meet my goals than I am to admit it to others. That, and the usual three things for goals: Small/achievable, specific, and measurable.